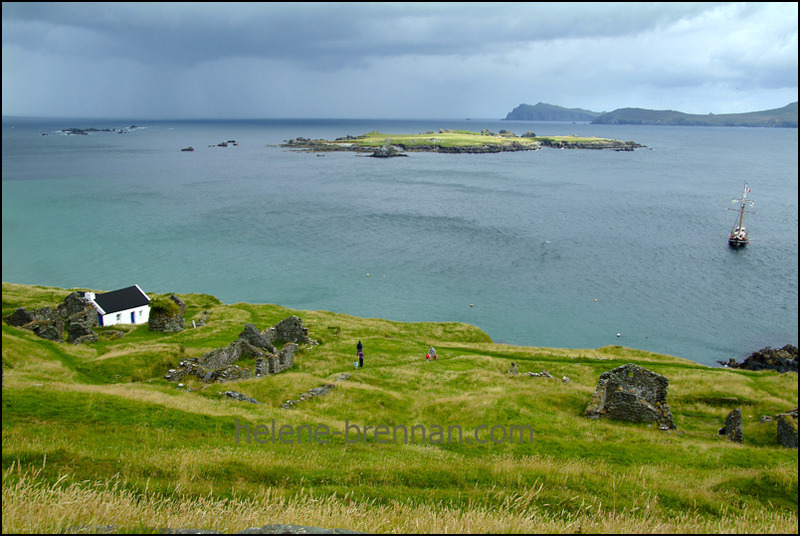 View from the Island, showing village ruins and a charmng white cottage, Beiginis and mainland are also shown. The ship in this picture is the French sailing ship, the Bel Espoir, Different sizes available. Please enquire.